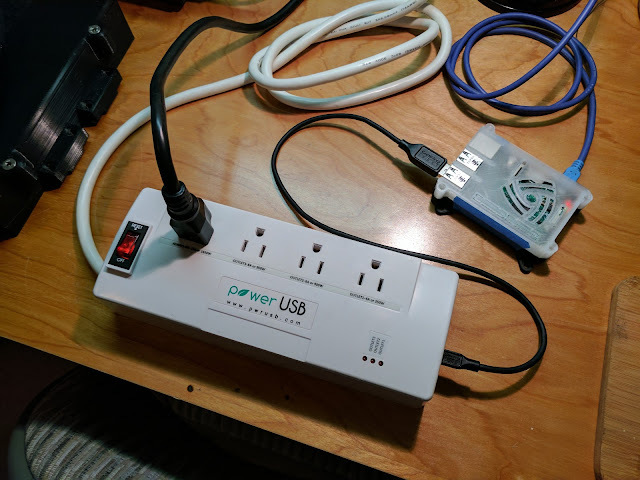 Over the past few days I wrote a command-line tool for controlling and monitoring PowerUSB-branded power strips. These are clever devices that connect to a computer via USB and allow power monitoring and controlling the state of the outlets. I decided to call it pwrusbctl and you can view the code on GitHub. The company that sells them offer a binary blob driver, but I wanted something that I could extend and modify. I also want it to work with my RaspberryPi.